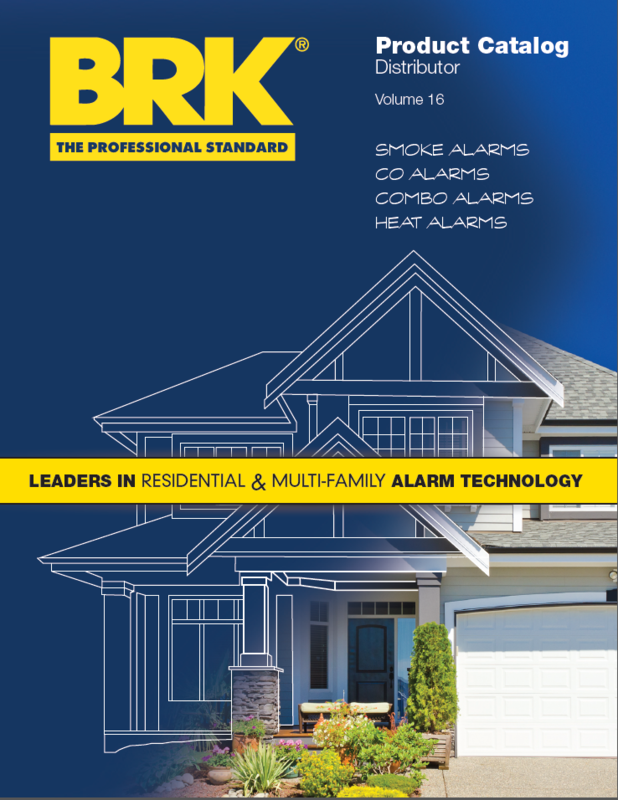 BRK® hardwired smoke alarms are designed to be easy to install, easy to maintain, and quality-engineered for years of virtually maintenance-free service. The full line includes models with special features like silence buttons, battery compartment locks, and extra-bright exit lights for specific applications. To the right are the features BRK® smoke alarms share. »Meet UL 217 standard - single station smoke alarms. »Listed with California State Fire Marshal. »UL mandated repeating alarm horn pattern (85 dB)-3 beeps, pause, 3 beeps. CO & Combo alarms are at end-of-life: Are you effected? BRK® hardwired carbon monoxide alarms are designed to be easy to install, easy to maintain, and quality-engineered for years of virtually maintenance-free service. The full line includes models with Contractor preferred features like silence buttons, battery compartment locks, "Quick-Connect" wiring harnesses and keyhole slots in the mounting bracket for easy installation. To the right are the features all BRK® carbon monoxide alarms share. »Meets UL 2034 standards - single and multiple station carbon monoxide alarms. »UL mandated repeating alarm horn pattern (85 dB)-4 fast beeps, pause, 4 fast beeps. BRK manufacturers other hardwired devices that meet the same high standards as with our smoke and carbon monoxode alarms. BRK® hardwired heat alarms are designed to be easy to install, easy to maintain, and quality-engineered for years of virtually maintenance-free service. The full line includes models with Contractor preferred features like silence buttons (HD6135FB only), battery compartment locks, "Quick-Connect" wiring harnesses and keyhole slots in the mounting bracket for easy installation. To the right are the features all BRK® heat alarms share. »Meets UL 539 standard - single and multiple station heat alarm. BRK® hardwired combination smoke/carbon monoxide alarms are designed to be easy to install, easy to maintain, and quality-engineered for years of virtually maintenance-free service. The full line includes models with Contractor preferred features like silence buttons, battery compartment locks, "Quick-Connect" wiring harnesses and keyhole slots in the mounting bracket for easy installation. To the right are the features BRK® combination smoke/carbon monoxide alarms share. »Meets both UL 217 & UL 2034 standards - single and multiple station smoke & carbon monoxide alarms. »UL mandated repeating alarm horn patterns (85 dB)-3 beeps, pause, 3 beeps and 4 fast beeps, pause, 4 fast beeps.